Marketing is a word, which is eminent in everything around us. It is market, business strategy, resource, execution & ardent customers, which remains the ultimate goal of any budding entrepreneur. To sell any product in today’s competitive market you have to be wise & awake, at the same time you must acknowledge the fact that it is the precise content that will fetch you the clear shot. Like every other aspect of a successful venture that needs to be followed, the B2B content too has a vital role in planning a successful marketing strategy. Let me put it this way, if you mastered the art of B2B content marketing, you have won the half battle. Well-defined targets: The clear understanding of an individual about the product he is trading with propels every successful business. Demographics of the real need of your target group matters the most. Having said that, a clear picture of the audience is something that helps you sell your product to the right person. It is a proven fact that B2B marketing with a defined strategy is way much effective than those who simply rely on long discussion over a cup of coffee or scribbling rough estimations on a notepad. Deep contextual understanding: Trading horse for a pony is never a wise bet. So, to evade any such anomaly in your business life you must have clear idea about the product you intend to sell to your customer. You must be aware of all the Ws like what, which, when & where related to your product. And apart form everything a deep knowledge that must reflect in your key strategy. The factors like understanding the need of your target group has to be highly prioritized. Because at the end of the day a successful businessman is the one who is aware of his strengths & pain points of the customers and he must come up with a strategy addressing the foresaid. Clear conversion goals: Clear goal is something that acts as a driving force behind any successful campaign. A dedicated businessman must be clear about the goal that he has set for himself & how he intends to convert it into the bigger picture. That clarity must be eminent in your content because unless you convince the fellow patrons with your clarity about the dream you pursued, you are not going anywhere. Every small stone in your business must be converted into milestone & it is a timely process that must be taken care of. Ability to scale: Ability to scale is the real test of your acumen as it ensures how adequately you are capable of handling the growing amount of work. In other words it shows how well you are coping with the growth & how you plan to enlarge the development efficiently. And what could be the better thing than putting all your development analysis in a proper content pipeline. A detailed content analysis will not update you with escalating demand but also acquaint you with the challenges that lay ahead. Effective use of social media platforms to distribute content: Today Social Media Marketing has become the mother of all business strategy. My endeavor behind this blog will be incomplete if I failed to acknowledge the vital importance of Social Media behind plotting a well-directed content strategy. Social Media platforms are the message mongers for any potential entrepreneur & have a towering presence in the content strategy. Documented content strategy: Behind any successful running business it is the silent work of a content strategy, which does bulk of work in the background. 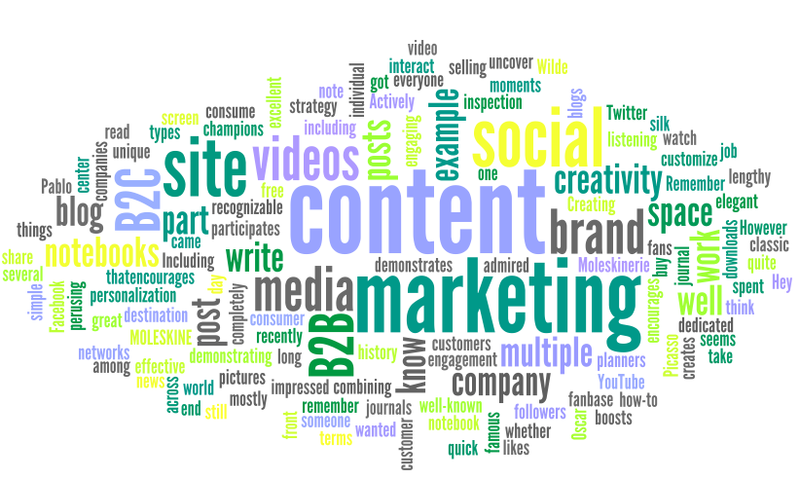 As of today, if you intend to excel in the sphere of business you must be backed by an aptly written content strategy. Use your Keywords smartly: Words play a very eminent role in our lives. With the rising demand for content & vital role of SEO, it’s the precise use of keywords that accounts for a deliciously prepared, lip smacking content because at the end of the day, people look out for their needs using apt keywords. So it’s necessary to chalk out a content strategy that propounds the theory of smartness & keeps you in the fray.